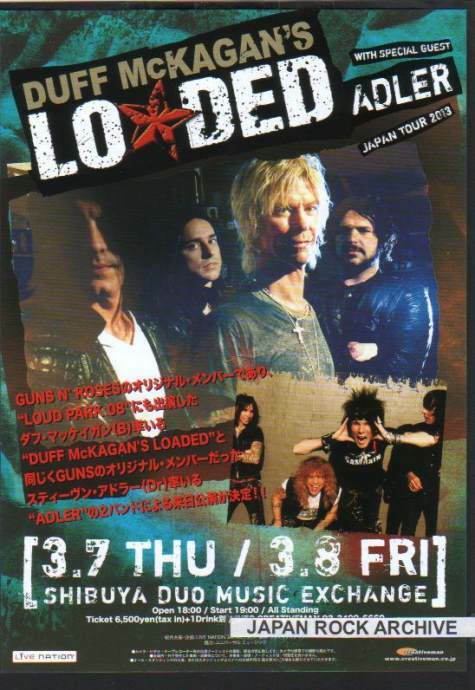 Former Guns N’ Roses members Duff McKagan and Steven Adler and their respective bands teamed up for two shows in Japan this past week. 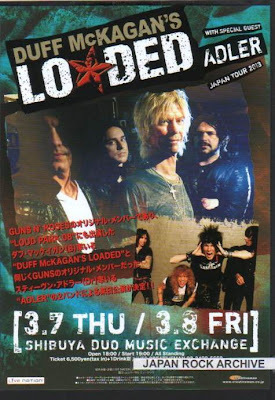 The March 7-8 gigs at Duo Music Exchange in Shibuya featured Duff McKagan’s Loaded and Adler each performing sets. Both GNR tracks are from the band’s monster 1987 debut, “Appetite For Destruction,” which has been certified 18 times Platinum by the RIAA and accumulated worldwide sales of more than 35 million copies. McKagan and Adler were both on hand in Cleveland last spring when GNR was inducted into the Rock & Roll Hall Of Fame; singer Axl Rose boycotted the event and declined his induction, which went ahead, regardless.